Every business has its own unique selling points, and specifically in the manufacturing industry, companies are always on their toes to find a product that may outshine them in the market and keep them abreast of every potential competitor that might challenge them. Creating a product that stands out in the market is the foremost challenge, and to keep its formula secret is an onus task in itself. This is where copyright laws and patent laws came into existence where leakage of patents or replication of the patented formulas will inevitably and adversely impact the growth potential of manufacturing businesses. Thus, especially the manufacturing industry looking to expand their overseas business networks, market penetrations, and global reach by deploying cloud computing and networks must need measures to safeguard their confidential information being transmitted over the vast cloud networks where access to data cannot be restricted or avoided under any circumstances. If any such information is revealed in any way to unintended outsiders or intruders, then competitors might gain an edge over the one deceived by such malicious attempts of data leakages. 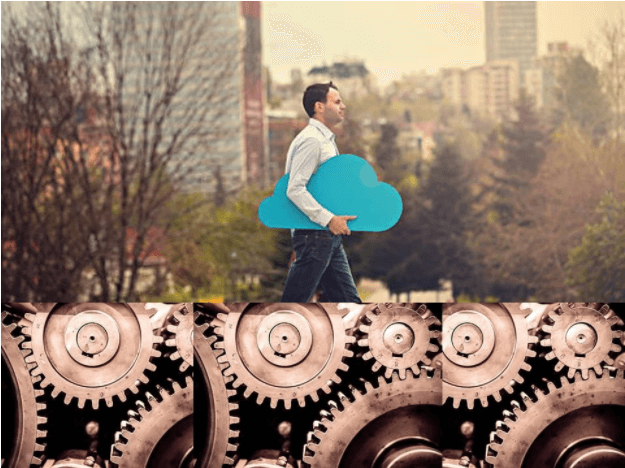 While thinking of cloud security for the manufacturing industry, we usually put a layered security model seeking to create some unified IT infrastructures for clients and customers. The approach mainly takes into account common connections among network security, physical security and cloud data safety in these manufacturing units. For these organizations working in the manufacturing segment, cloud security threats are evolving continuously. So, for keeping pace with these, the need for a holistic cloud security program is the need of the hour and it must evolve over time and stay ahead of these changing landscape of cloud security threats. Following the above mentioned 3-step program can help manufacturing firms to establish a great program helping them to protect their IP or intellectual property, work facilities, business assets, workforce as well as several competitive advantages projected for the future of the business. When the dark shadow of shadow IT was cast on cloud computing systems, CASB came as a ray of light, lightening the systems through its security light and airing them the whiff of safe air, creating an environment where the hackers have no entry as their entries are barred right when any malicious attempt is made on that front. All-in-all, CASB solutions are the wonder solutions that every firm in the manufacturing segment needs. While selecting the right cloud security vendor, it is good to test their CASB solution on some use cases, which puts forth a great way of evaluation.